HEADS UP to Youth Sports! Updated Tuesday January 3, 2017 by Tom Deloge. Welcome to the F.T.A.A. HEADS UP to Youth Sports resource section. Athlete safety is all of our responsibility and we should be aware of all the steps to take toward that goal. 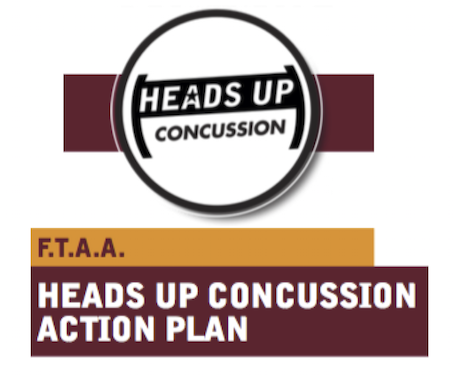 Coaches, Parents and Athletes please review the documents provided in this section regarding concussion awareness. When in doubt, sit them out! Seek medical attention.